Between 1-3 August 2018, at Poiana Pinului, Buzau, the International Seminar and Exam was organized by Sensei Tudor Mihail Valentin, the president of WAKU Romania Organization and it was held with the help of our special guests: Hanshi H. Suleiman, Shihan Mohammed Murad, Sensei Habib Ali and Sensei Yogesh Arora. The young karate-ka showed Hanshi and Sensei that they are determined to learn new techniques. Their enthusiam allowed them to overcome all their fears and be the best version of themselves. 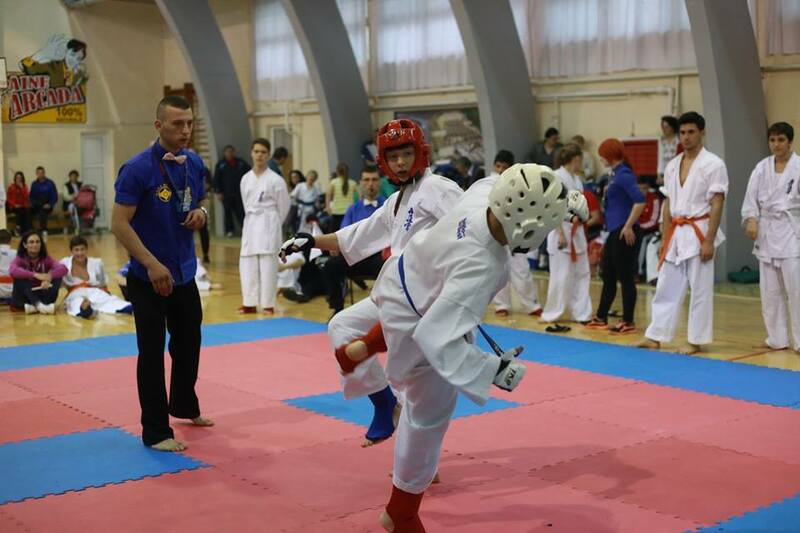 In Galati, Sensei Tudor Mihail Valentin took part at first International Referee Seminar where he was awarded, along with the instructors of WAKU Romania, with the title of International Kyokushin Referee. We thank all our guests for their experience that they have bestowed up on us. OSU! 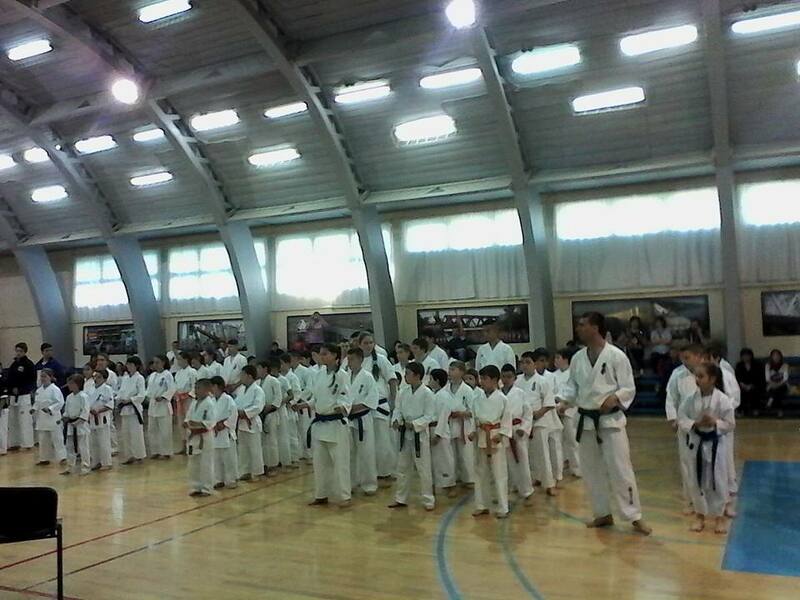 15 of April was an important day for Kyokushin Karate Practitioners from the Dao Kan Asociation and the W.A.K.U. Romania organization. 230 “white souls” prepared and fought in the 5’th edition of the W.A.K.U. Romania Cup in the spirit of fair play. Parents encouraged the practitioners, some of them participating for the first time in an event of this size. Everyone fought honorably for a place on the podium. Each year, the event celebrates an ever greater number of participants. We would like to thank our representative, Tudor Mihail Valentin 3 Dan for making this event possible each year, the instructors for their work and passion, the participants for their interest, and the parents for their trust and support. CONGRATULATIONS TO ALL AND WE HOPE TO SEE YOU AGAIN IN THE NEXT EVENTS OF THIS YEAR! OSU! Between 24-26’th of August, the International W.A.K.U. Seminar was held. The special invite of this event was Hanshi Hussein Suleiman 8 DAN from Kuwait. 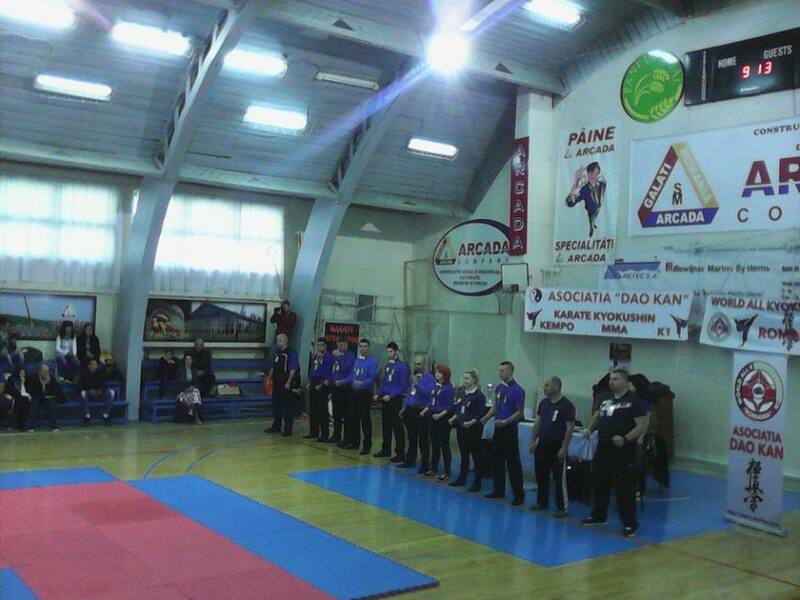 The event was organized by Romania’s Branch Chief of the W.A.K.U organization, Tudor Mihail Valentin 3 DAN. Together with Hanshi Hussein Hassan Suleiman, there came Ali Assaf, a dedicated kyokushin practitioner and student of Hanshi Suleiman. Emotions were high, the children restless. However, everybody passed and the presence of Hanshi Hussein Suleiman was a true joy for everyone involved. The events were held on the Salt Lake beach, and the program was intensive, with 2 trainings per day, one in the morning and another in the afternoon. Hanshi Hussein Suleiman shared important ideas about the techniques and kumite strategies left by Sosai Oyama. Besides the certificates offered to those who participated in the seminar, Hanshi Hussein offered certificates of achievement to both small and big fighters, everyone leaving extremely satisfied. On the 27’th of august, the intensive refereeing course took place, where everyone got involved to deepen their knowledge of correct refereeing, as left by Mas Oyama, founder of the kyokushin style. 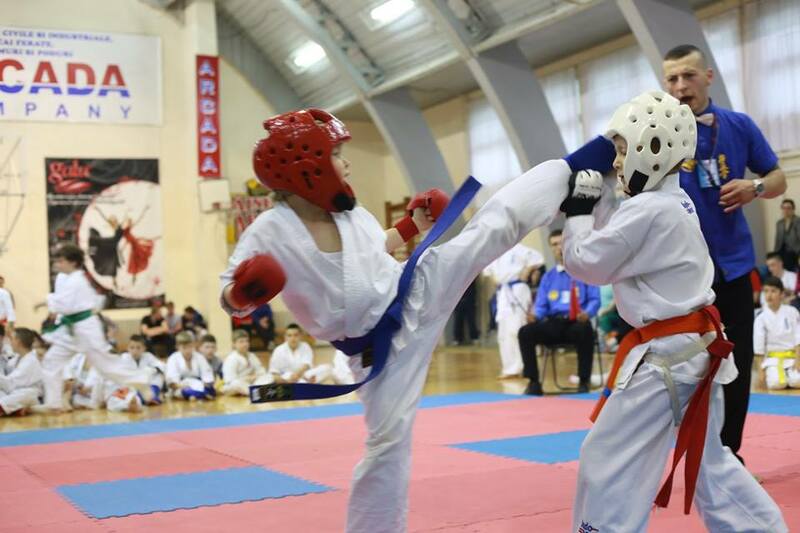 On the same day, important fights took place, where even Ali Assaf, the student of Hanshi Hussein Suleiman, participated. 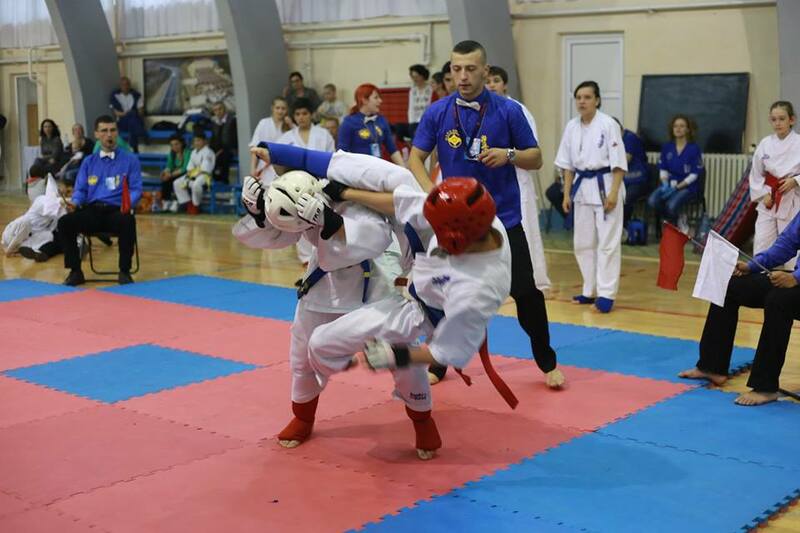 On the 28’th of August, the last day of the international tournament, the belt exam was held, where the branch chief of Romania, Tudor Mihail Valentin gained 3 DAN. 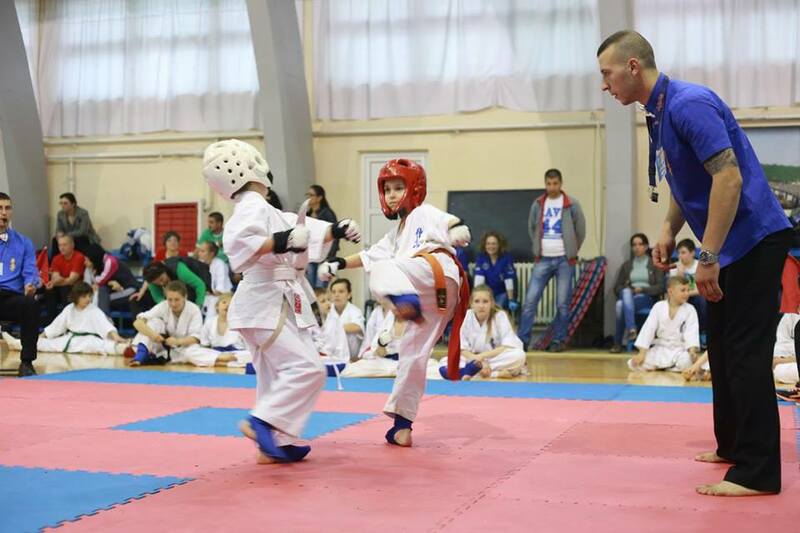 Also, Tudor Roxana and Pralea Bogdan became the first black belts from Sensei Tudor Mihail Valentin after many years of training them, proving our federation is growing year by year and becoming stronger. 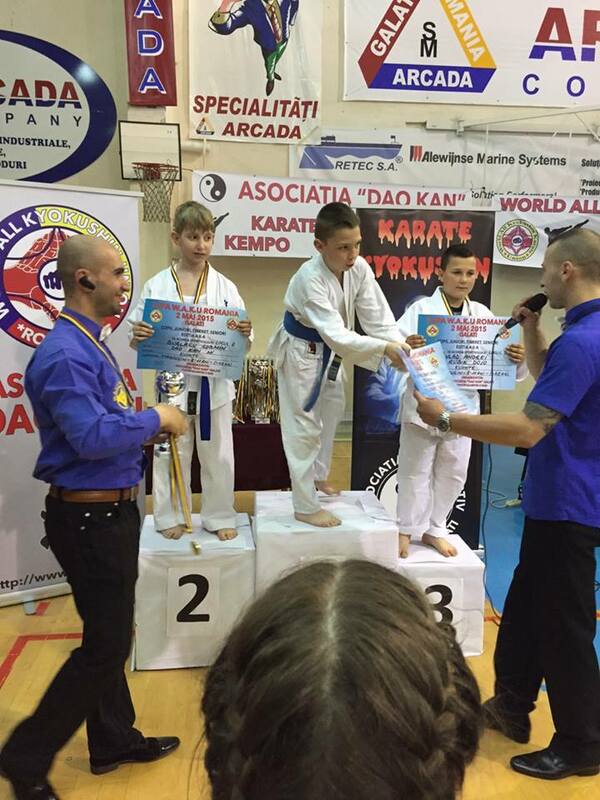 Bujoreanu Octavia and Colisnicencu Daniel gained 2 kyu, becoming the new brown belts of the W.A.K.U. organization Romania. 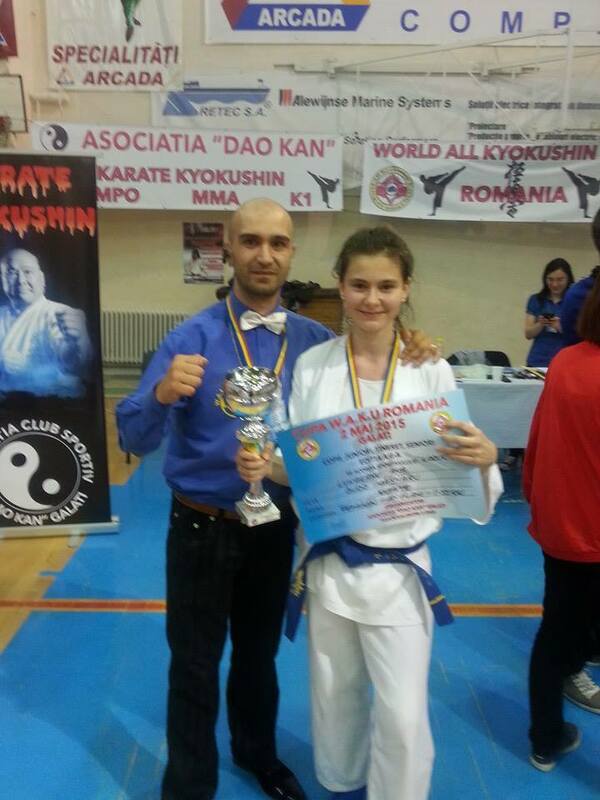 We can also take pride of the new green belts, 3 kyu, gained by Ciuraru Mihaela and Cristea Bogdan. Last but not least, come instructors fully dedicated to the kyokushin way: Musat Marian 5 kyu, Tudoran Gabriel 6 kyu, Gogoi Magdalena 6 kyu, Burghelea Adrian 6 kyu. 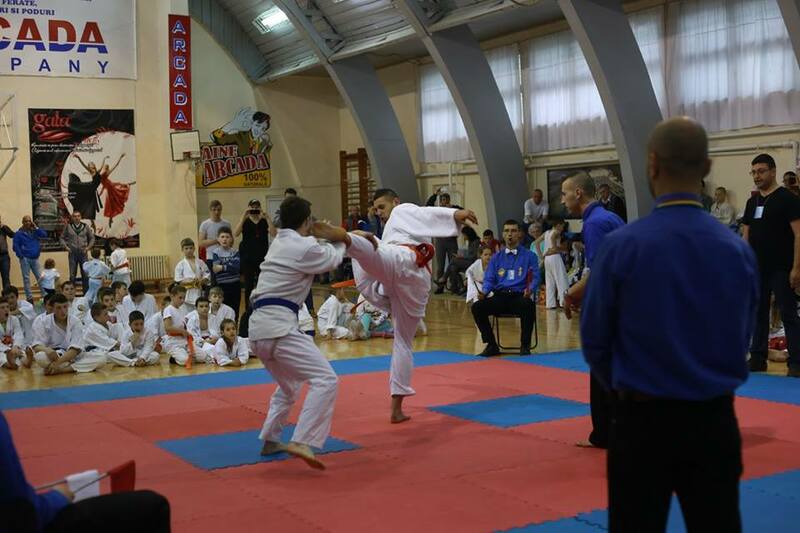 W.A.K.U Romania was glad to have Hanshi Hussein Suleiman with us, and there will definitely be more events where he will be invited. Osu!! Congratulations to all the participants and to the parents, who supported the children towards reaching their goals. We wish them good health, to continue supporting performance, and all the best. It is our pleasure to invite you to the second edition of the W.A.K.U. 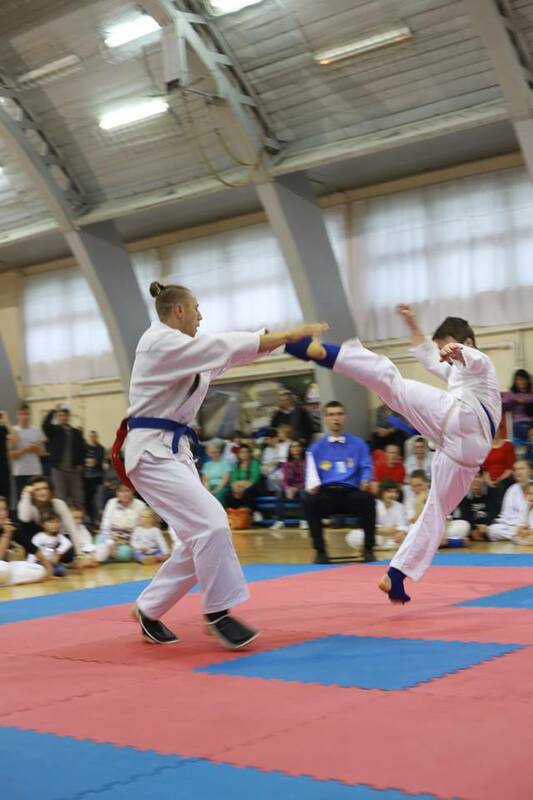 Romania Cup, a competition organized by the World All Kyokushin Union Romania Organization in collaboration with the Dao Kan Association Galati led by Sempai Tudor Mihail Valentin as its President. 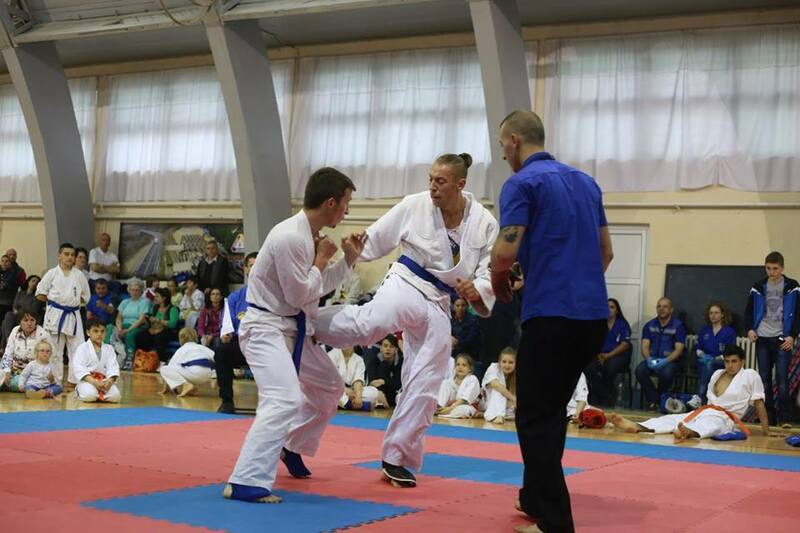 The competition is open to all martial arts clubs from every kyokushin karate organization, and from any style or branch of martial arts, on the condition they respect the competition’s rules and regulations. 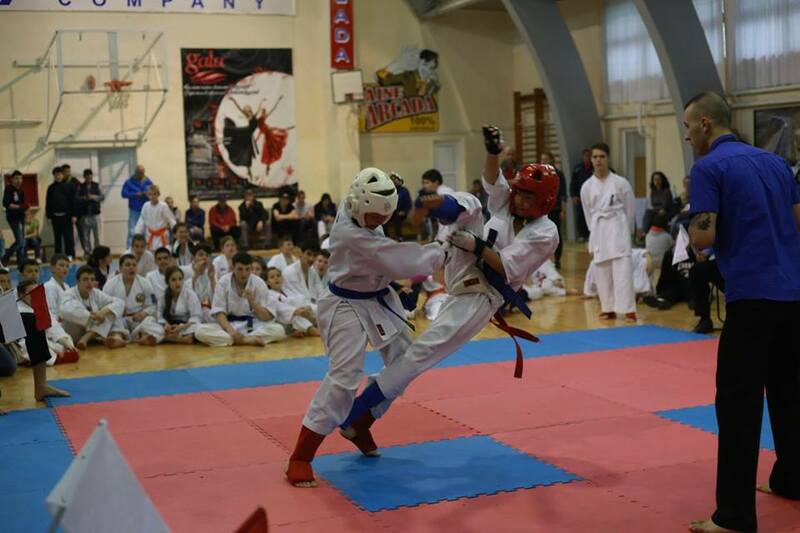 The Competition Categories: Kata and Kumite. 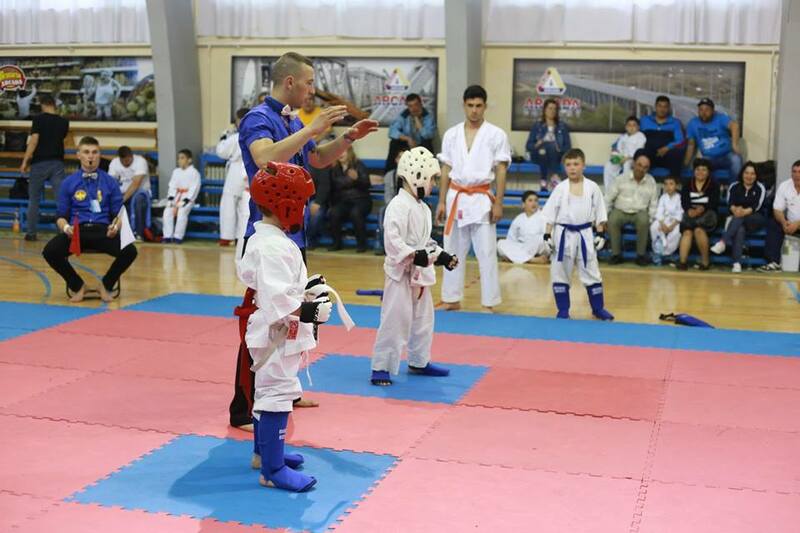 During the 20-22nd of August 2014, the Garboavele forest Summer Camp was held, along with a Kyokushin Karate Seminar followed by a belt exam. Fighters from every W.A.K.U. Romania Dojo were present. 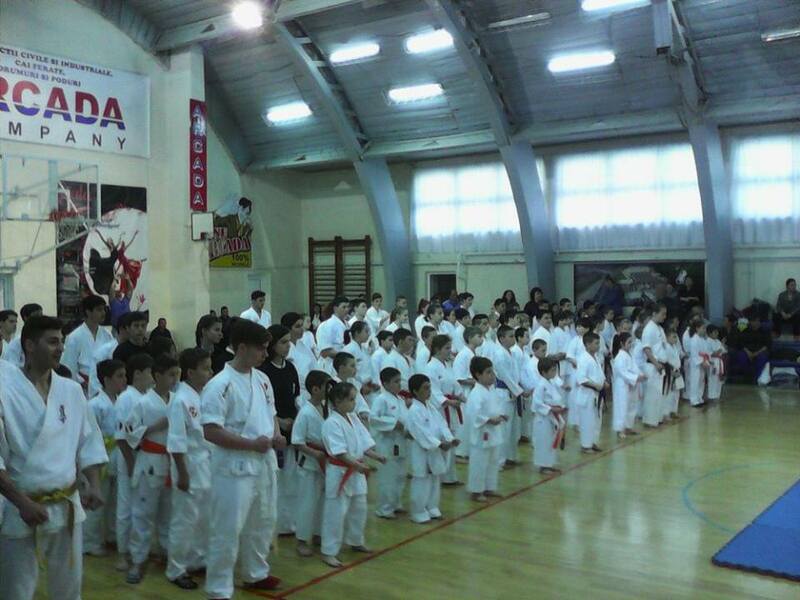 Sempai Tudor Mihail Valentin 2 dan, along with the secondary and assistant instructors, insured the seminar went smoothly, preparing the karate-ka for the exam that followed on the 22nd of august 2014. The diplomas offered to the karate practitioners at the end of the exam were sent by Hanshi Hussein Hassan Suleiman 8 dan, leader of the World All Kyokushin Karate Union. The certificates were also signed by him and the branch of the W.A.K.U. Romania organization, Sempai Tudor Mihail Valentin 2 dan. W.A.K.U. 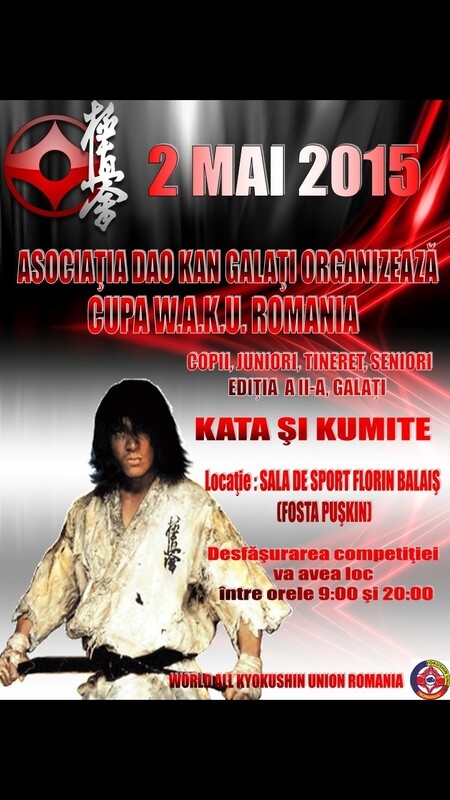 Romania Cup, 1st Edition, Galati 3rd of May 2014. The W.A.K.U. 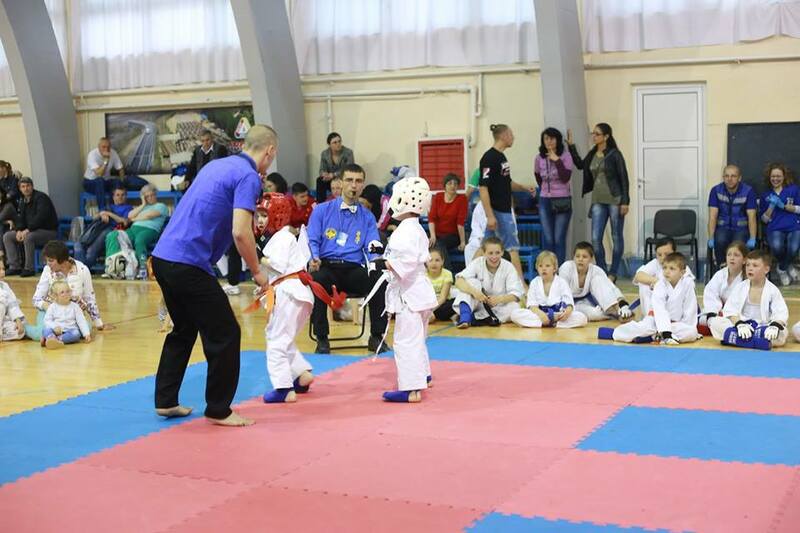 Romania Cup was organized on the 3rd of May 2014 in Galati City at Puskin Gym.